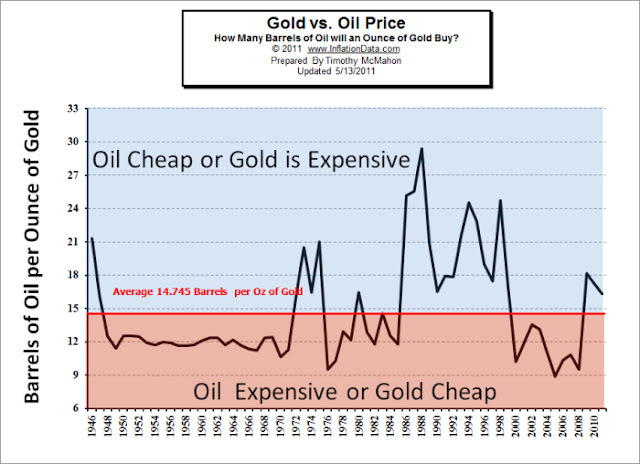 In one sense, the price of oil has been very volatile -- boom & bust -- ever since the beginning of the oil age in the late 1800s. 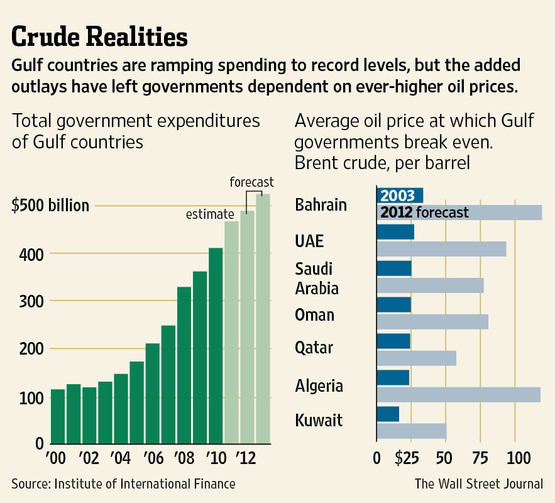 The price of oil in US dollars has been particularly volatile. 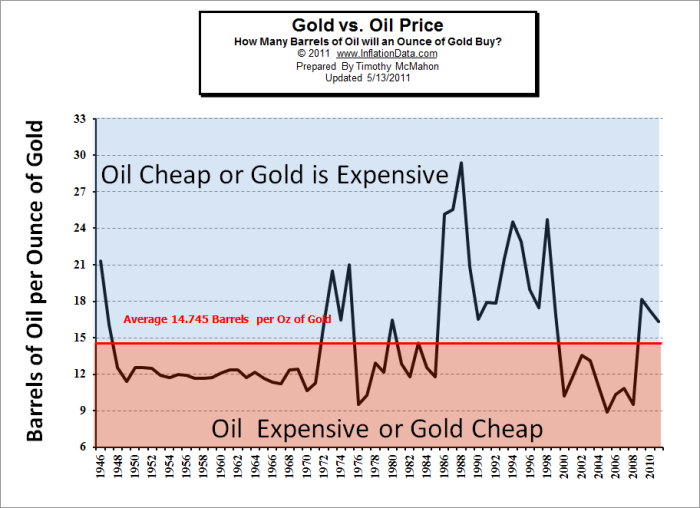 But even when measured against the price of gold, the price of oil has seen some significant peaks and troughs over the years. Severe oil price swings make it very difficult for countries that are overly dependent upon oil & gas revenues to balance their budgets. Countries such as the MENA oil states, Venezuela, Russia, etc. are finding themselves in a difficult pickle with regard to mounting obligations toward the future. A new report suggests that Saudi Arabia will need an oil price of $320 a barrel by 2030 in order to balance its swelling government budget. Russia's fiscal breakeven number varies between about $130 a barrel and $150 a barrel, depending upon who you are asking. Regardless of the exact figure, the number is likely to skyrocket in the future, and Russia is already having trouble making ends meet. What of the future? Putin's agenda of bread and circuses will only suffice to cover up Russia's ruinous corruption and cronyocracy for so long, in the face of stable or falling oil prices. The chart above reveals that the actual cost of production of oil for these countries is quite low -- in comparison with their fiscal breakeven oil price. The difficulty balancing their budgets in the light of their already huge production profits, points out the depth of oil dependency and corruption so prevalent in these countries. In the meantime, US oil production continues to grow -- despite the Obama / Salazar agenda of energy over-regulation. The vast deposits of Canadian oil sands are also waiting to be developed, and shipped to market. A rapidly accelerating oil production from the huge Iraqi deposits of oil await a suitable environment of stability. 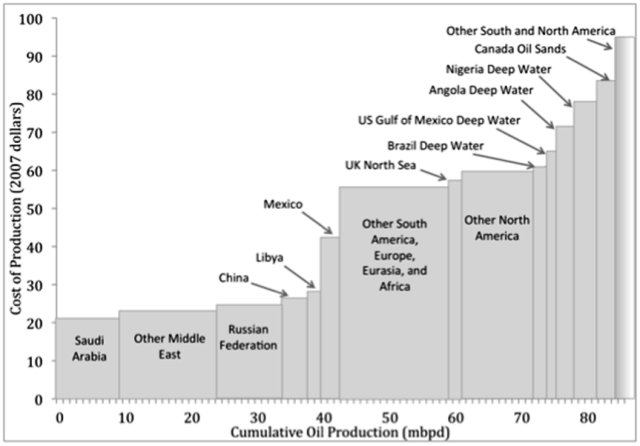 And large oil & gas deposits in Iran, Africa, Central Asia, the Arctic, and offshore deposits around the world, await the proper geopolitical and global economic milieu for development. Vast amounts of global energy await the proper conditions for development and distribution. Advanced nuclear energy from unranium and thorium, clean coal technologies of IGCC and liquefaction, efficient and scalable GTL technologies, development of vast deposits of bitumens in Canada, Venezuela, and elsewhere, huge deposits of kerogens, and huge quantities of gas hydrates. Advanced nuclear energy could supply abundant energy for tens of thousands of years. But until such technologies are developed, fossil fuels can bridge the gap in time. As for carbon hysteria and climate change? Only a clear and dispassionate knowledge of the global carbon cycle of the land and sea can eradicate those phantom fears. For humans to acquire clear knowledge and wisdom on that and many other crucial issues -- a better leadership and a more honest information media will be needed. Whenever oil goes close to $100 a barrel, new supply and conservation set in. Substitution. Oil cannot stay above $100 a barrel for any extended period of time. As the worth of the US dollar declines by way of back door devaluation, the cost of oil in relation to the dollar will rise. It is always important to compare commodity prices to multiple currencies, including hard currencies such as gold or silver. How Long Will the North American Shale Boom Last?